Tennessee students have been served very well by the steady and strong leadership of Commissioner McQueen. Her priorities have been the right ones for our children: improving student achievement, with a specific focus on reading skills; advocating for great teaching and supporting teachers to deliver high-quality instruction; and emphasizing that students and schools with the greatest needs must receive targeted focus and support in order to improve. 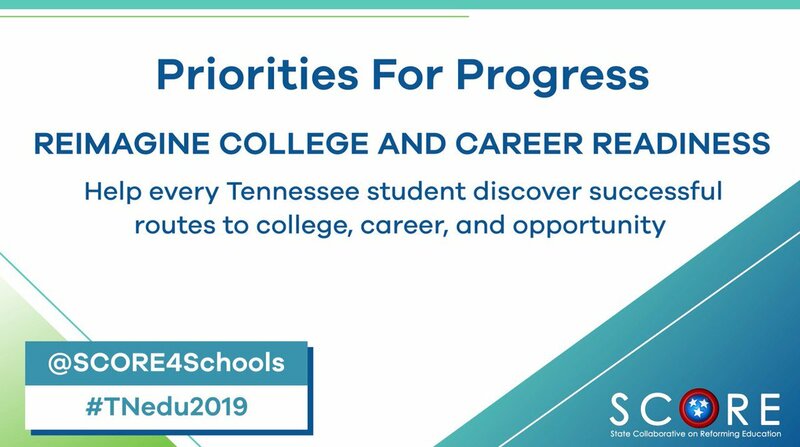 Commissioner McQueen has worked tirelessly to support the Tennessee way – insisting on high academic standards, measuring progress with assessment, and requiring accountability for student success. At the same time, she has elevated educators by creating more opportunities for them to share their perspectives and counsel with state leaders. Dr. McQueen will continue to have an impact on public education and teachers by leading the National Institute for Excellence in Teaching. We at SCORE wish her the best and look forward to the opportunity to continue partnering with her on improving outcomes for students.